Setting up this blog about 8 months ago was a big step for me. I always knew about WordPress and bloggers who were able to earn passive income from writing articles but I always thought the process of setting up a blog was complex until I actually started. Click here to start your blog on Bluehost, you can use the tutorial below for directions. I had some experience doing SEO and running Facebook ads but creating a blog was new to me. I looked into WordPress and then created this blog to start sharing my ideas about business and online marketing. The process of creating a blog was much simpler than I expected, from choosing the domain name to hosting and then selecting the theme and creating posts, it was a quick and easy process and I will show you how I did it here. Eight months later, I am getting over 300,000 visits to my blog and making some money from it by posting regularly and paying attention to what people are saying on Twitter and Facebook! The purpose of this article is to show you how simple the process is to create a blog and start blogging. The process of setting up your blog is quite straightforward. I will explain it and break down all the steps required to setup a successful blog and grow your traffic steadily. 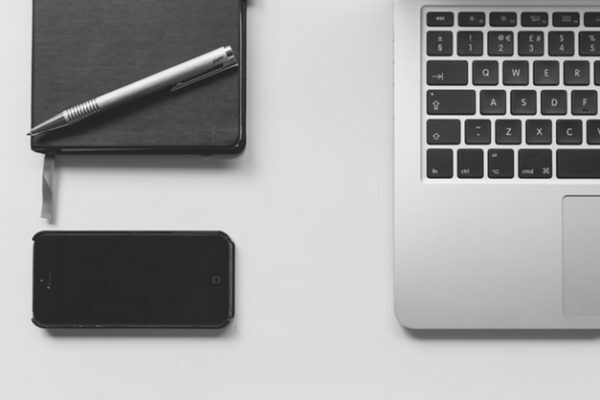 Your domain name is one of the important elements of your blog. You should pick a domain that represents what you want to blog about. 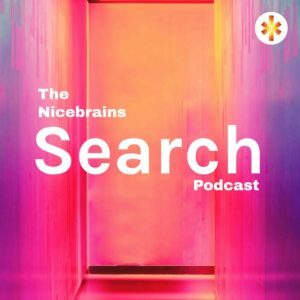 This blog, Nicebrains.com is an educational blog to help people learn more which is why I decided to choose the name. By far, WordPress is the best platform for bloggers. It is so easy to use, setup and write a blog on. Once you set up your blog on WordPress, you can log in from your smartphone, tablet or computer and post from anywhere. WordPress also has hundreds of thousands of free plugins you can add that give you extra features like automatically sharing posts on social media, building and emailing your subscribers and tracking how many people are reading your blog posts. Before you can start blogging, your blog needs to be stored on a server. 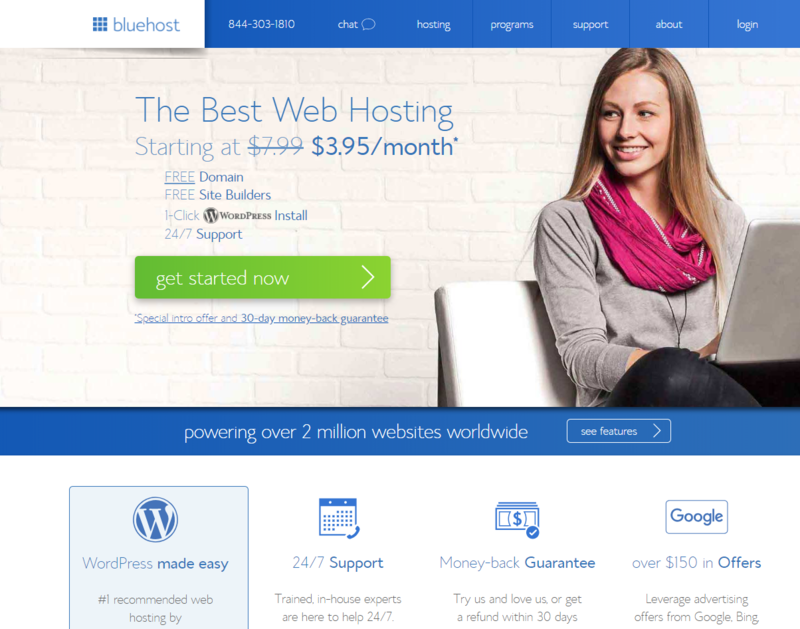 Web hosting companies like Bluehost provide hosting services for new bloggers and they only charge about $4 – $5 per month. As you can see from the screenshot of their homepage above, you will get a Free domain, website builders, money-back guarantee, support and great offers. The first thing to do to get started with your blog is to click on this link to head to Bluehost and click on the ‘get started now‘ button. On the next page, you get a chance to choose a plan that works for you. If you are just starting out, you choose the basic plan or if you want more space, increased performance and email accounts, you should go for the recommended prime plan. 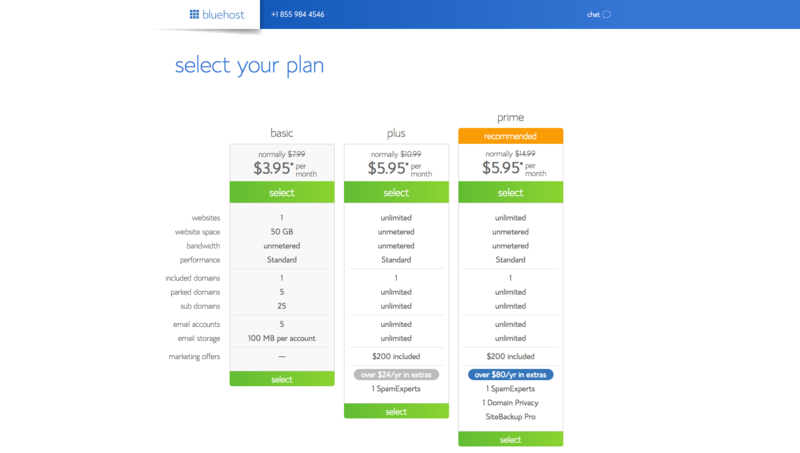 Bluehost offers annual plans when you sign up and this is great because you actually save money on hosting and also get a free domain. After choosing your plan, filling in your personal details and entering payment details, you can submit your form and get ready to move onto the next section. Make sure you set a strong password using letters, numbers and characters. This is important because it will help secure your accounts and prevent any malicious activity. 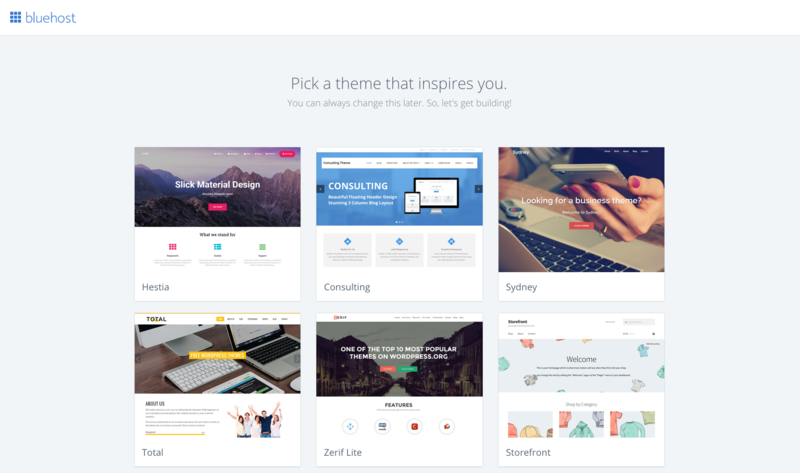 Pick A WordPress Theme and Start Blogging. Your domain is registered, your hosting is setup and now you are ready to install WordPress. You can pick a theme that looks good and suits your style and start blogging. After choosing your theme, choose whether you will be setting up your blog for business or personal reasons. You are now ready to launch your blog. Follow the steps in your WordPress dashboard and you will be done in a few minutes! You are now ready to start blogging. Setting up a blog is not a complex process, all you need to do is choose is a good domain, get great hosting from Bluehost and choose a theme that represents what you want to post about. After setup, you can do some research and start writing and providing value for your readers. Disclaimer: We make some $$$ for referring you when you click on the links in this post. Amazing, i can’t imagine about this hard working post. Your information is very informative. Thanks for sharing this information with us. I will apply all these thing to make my website search engine friendly. Please check my website once and give me some useful tips. Hope you visit. waiting for your reply. Right now I have a very neglected website that I started a few years ago. Lately I’ve been thinking about getting back to blogging at my site again. Currently I have Host Gator as my provider and my website platform is WordPress. If I decide to switch my provider to Blue Host, is it easy to do? 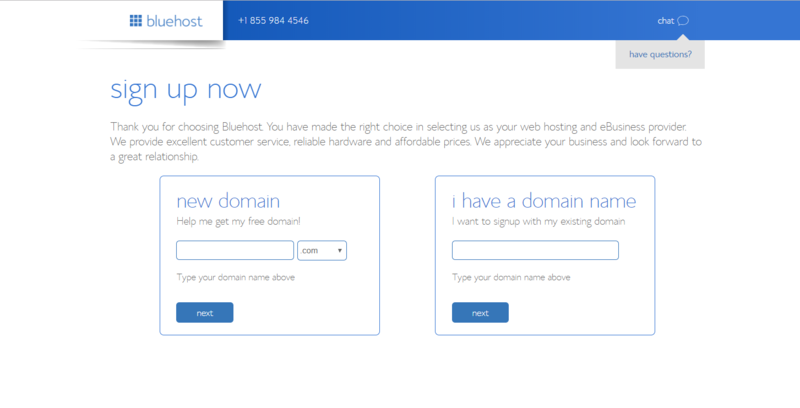 Do I just need to sign up with Blue Host or is it more complicated than that? I have wanted to start blogging for a long time but know nothing about it. I have looked at a few sites and I thought I was trying to learn Chinese, German, and 6 other languages at once (ok, maybe I’m exaggerating). Truthfully, I didn’t understand everything you wrote but I came away with a feeling it’s possible and I know I can learn. Thank you. By the way, this is only the second time I have sent a comment.